"We will rise, again and again." Activity on both the Team Omega forums and Halo 5: Guardians is essential to your stay in the Spartan Company. 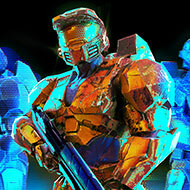 You must add omarlotrc, the leader of Team Omega, on Xbox LIVE upon entry to the Spartan Company, if you are accepted. Farming will not be tolerated, as it is a form of unsporting conduct. 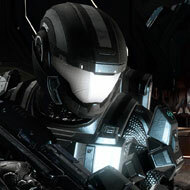 If we find out you've been farming, you'll be immediately discharged from the Spartan Company. 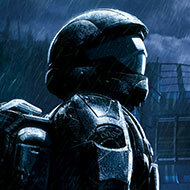 Team Omega is a brotherhood for all kinds of Halo fans, ranging from forgers to competitive players. Since this Spartan Company is a brotherhood, it is imperative that its members treat one another with friendliness and respect. We are Omega, and together we will rise, again and again. Please note that we have already unlocked the Achilles body armor, so joining us now will not provide you with the armor piece. We are, however, working very hard to unlock the Achilles helmet. Please be aware that joining this Spartan Company means you are 100% loyal to Team Omega; no side clans or anything of that sort is allowed. Joining us makes you one of us.